If you're a Fenway Fanatic, you love your Sweet Caroline just as much as that dirty water. Show your love for everything Fenway has to offer with thebest hoodie evah! We hit this with a vintage distressed print that's perfect for any Boston fan. 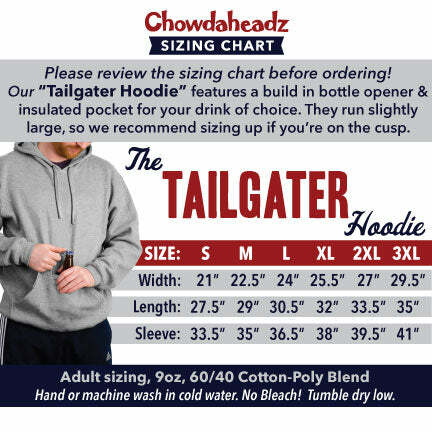 And the best part about this pullover hood is that it features a built-in koozie drink holder, as well as it's very own attached bottle opener. With this hoodie, you're never without a spot for a cold beverage and can easily keep both hands free without putting your drink down. The koozie pocket also closes with velcro so it's another great option for safe storage of your phone or mobile device. A simply essential tailgate, bar or game-time item, sure to be the envy of many!